Combining outstanding vision, superb dribbling ability and a handy knack for providing assists, Hiroshi Kiyotake is one of the most exciting players to have joined the Bundesliga in recent years. Born in November 1989 on Japan's southern Kyushu lsland, Kiyotake played as a youngster for FC Katiora before joining local J-League side Oita Trinita in 2005. Swiftly progressing through the youth ranks, he made his league debut in August 2008, scoring within minutes of his introduction off the bench to earn a 2-2 draw with Shimizu S-Pulse. He has not looked back since. It was clear that Kiyotake was destined for bigger things and after Oita were relegated he moved to a team heading in the other direction, Cerezo Osaka, in 2010. Two seasons there, in which he netted 19 goals in 82 games and laid on plenty more, duly sparked the interest of clubs in Europe. Nürnberg won the race for his signature in the summer of 2012 and the Franconians saw an instant return on their investment. Shaking off potential fatigue after the London Olympics and despite not speaking German, Kiyotake settled into his new surroundings and hit the ground running in the Bundesliga. Four and ten assists was the bald statistical bottom line of his maiden campaign in Germany but over and above that, the new signing had established himself as the creative heart of the team. He was a midfield mainstay in 2013/14 as well, although there were precious few grounds for celebration in a difficult season which ended in relegation for Nürnberg. In July 2014, he was snapped up by Hannover 96 on a four-year contract. Kiyotake has also been making waves on the international scene in recent years. By the time he made his starting debut for Japan against North Korea in November 2011, he had already provided three assists as a substitute, including the last-gasp winner in the first FIFA World Cup qualifier against the North Koreans. 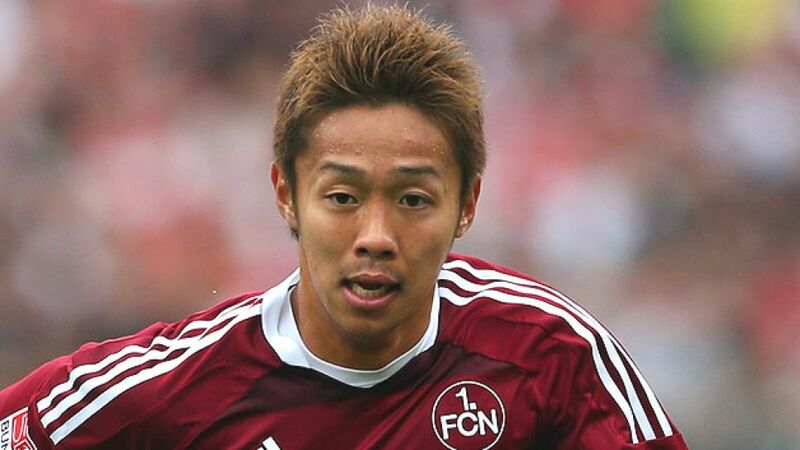 A key player in Japan's run to the semi-finals of the 2012 London Olympics, Kiyotake was one of seven Germany-based players named in Alberto Zaccheroni's squad for the 2014 FIFA World Cup in Brazil.